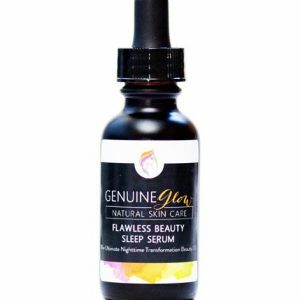 This moisturizing cream promotes skin health by being rich in Vitamins A, C, E and K. It’s naturally high in antioxidants and fatty acids and has the ability to pull oxygen into the skin. It has the benefit of being non-comedogenic, anti-inflammatory, purifying, anti-viral, and antibacterial. A moisturizing face cream made with Spinach and Echinacea that’s designed to hydrate, smooth, and condition the look and feel of your skin. This face cream can be worn morning and night. Shea Butter – Shea butter is moisturizing, skin smoothing, and reduces inflammation. It is naturally non-comedogenic and will not clog pores. Grape Seed Oil – Effective ingredient for treating acne, tightening skin, and reducing redness and marks on the face. Also has wonderful brightening and anti-aging properties. Spinach – A rich source of Vitamins A and C, which improves skin tone and plays an important role in the repair as well as growth of skin cells. The abundance of antioxidants and nutrients in Spinach will even out your complexion, making your skin look radiant. Spinach is also a suitable ingredient for clearing up acne. Echinacea – Promotes skin health, is naturally anti-inflammatory, purifying, anti-viral, and antibacterial. Echinacea helps to fight acne, diminish wrinkles, and soothe skin. Rose Water – Helps maintain the skin’s pH balance while controlling excess oil. Has anti-inflammatory properties that reduce redness as well as skin conditions such as acne, dermatitis, and eczema. Rosemary Essential Oil – Stimulates biological activity and cell growth while rehydrating and keeping skin firm and elastic. Contains nutrients such as iron, calcium, vitamins, and antioxidants. Reduces the appearance of scars and spots and has natural antiseptic properties. Emulsifying Wax – Our vegetable based wax holds our formula together and helps ingredients penetrate the skin. Apply a dime size amount of moisturizing cream to a clean face and neck morning and night. Additional cream can be used if extra hydration is required. Been using this for over a year. I use it all over my face, under my eyes and on my neck. Seems heavy but absorbs quickly. Smells clean…absorbs fast. Great moisturizer. I have ordered twice. A really nice face cream. I’ve been using this for a while. One will usually last 2-3 months, Makes my skin feel very soft and hydrated without feeling like I have a heavy product on my face. 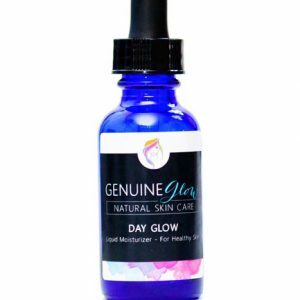 I think this was the first GG product I ever used and I’ve introduced several friends and my Mom to the moisturizer. It’s a classic. Moisturizes well, and makes me skin look great.